In 2017 and 2018, as part of the IFAD-funded project “Capitalization of Experiences for Greater Impact in Rural Development”, CTA, FAO and IICA organized training processes in Asia, Africa, Latin America and the Pacific to support local development professionals in such efforts. These local professionals have become “experience capitalization champions”. They discovered the ins and outs of the methodology, and have adapted its use to their local situation. processes started. 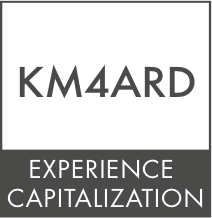 Maybe you have been asked to facilitate such a process, or maybe you have decided yourself that experience capitalization is a necessary activity in your organization. Either way, this guide is intended for those who have taken up the role of facilitator of experience capitalization processes and/or trainings. • how to support the institutionalization of the experience capitalization methodology. The guide is based on the practical experience of the facilitators involved in the experience capitalization project. It offers practical recommendations for facilitators, insights on what has worked well (and what has not), and suggested exercises. In this guide you will find tools that we have used along the way, which you are free to adapt and use in your own facilitation. And send your ideas and comments!